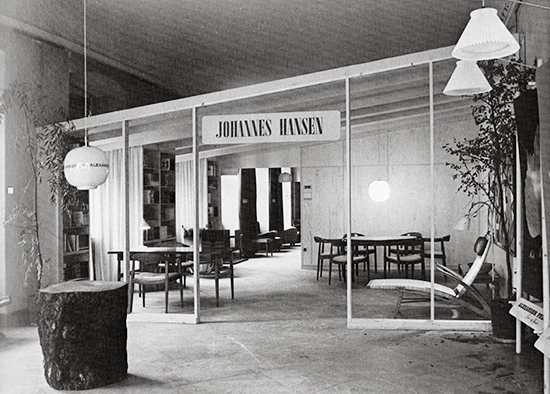 The legendary designer/manufacturer collaboration between Hans Wegner and Johannes Hansen, formed in 1940, was integral to the trajectory of the modern design narrative both in Denmark and internationally. One superb piece to emerge from this partnership was a folding lounge chair, produced in 1950. Because the work never actually went into production, a very limited number of samples of the chair’s two forms (short and long) exist, making it a very rare and much sought-after design. In both its elegance of form and dedication to functionalistic comfort, this work inspires a feeling of reverence when encountered in person which makes it in no way difficult to comprehend Wegner’s status as the “Master of the Chair”. Made of woven cane and oak, with brass fittings, the chair is sleek and striking in its appearance, and embodies all of the vital formal concerns which distinguish the finest of Danish modern design of this period. While something of the Chinese influence which inspired much of Wegner’s work is perceivable in the sharp lines of the work, more overtly, it pays homage to Mies van der Rohe’s Barcelona chair. Master cabinetmaker Hansen would have accomplished the execution of this chair using traditional techniques of production: the gently curved forms of the wood comprising the frame was hand carved from solid wood; the cane across the curved frame of the chair back and seat, hand-woven. 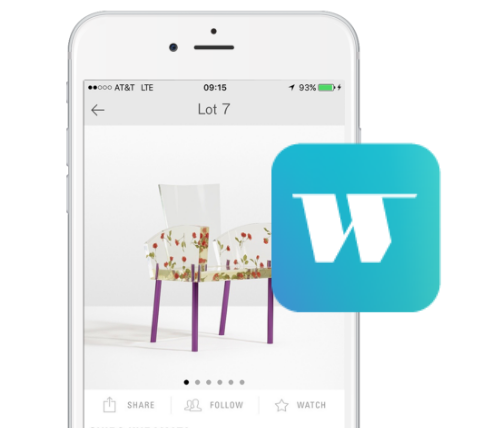 With regards to the chair’s construction, it is important to acknowledge the extent to which Wegner’s original designs were informed by a wholehearted appreciation and understanding of Hansen’s craftsmanship: therein lies the beauty of this partnership. 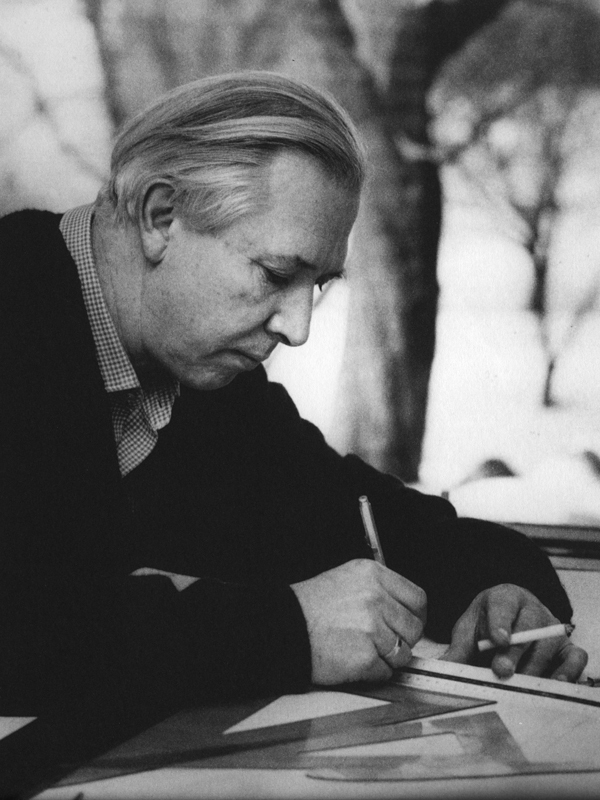 Supreme dedication on Wegner’s part to ensuring consistency of vision from the concept phase right through to production manifested itself in a measured and rigorously pragmatic approach to his designs. In this way, the practicalities of the construction process were not merely something which served as a secondary afterthought for Wegner, or as laborious but necessary criteria against which to check his designs, but rather underpinned the very central concerns of his work, and strongly guided him in the design process. In the case of this folding lounge chair, the final product is therefore a combination of Wegner’s precise rationalistic bent, and his ability to treat line and form in an elegantly and adeptly modern way. 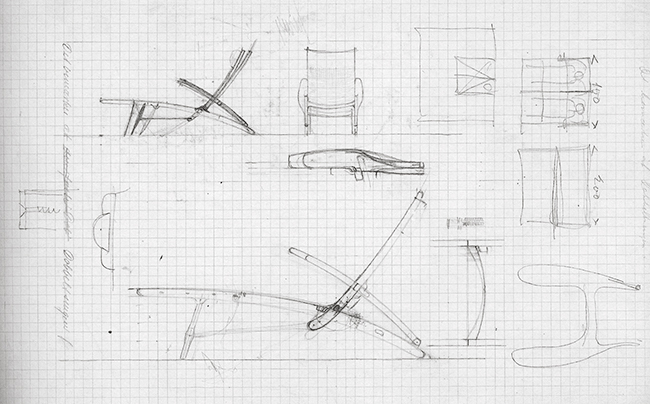 To these considerations must be added perhaps that most crucial characteristic of Wegner’s design which ensured translation into excellence: his deep knowledge of, and passion for, the raw materials in which he dealt. There is a certain poetic circularity to be considered in the designer’s relationship with wood: whilst the wood used to construct his designs had been processed, it was being applied to the realization of organically-inspired forms. In this sense, the chair offers something of a modern tribute to the natural cycles and forms to which this wood has been contrived to return. It also makes clear the fact that the designer’s loftier conceptual dealings with modernism and the formal potentials of furniture and design were very much grounded in an innate love for, and understanding of, his raw material. The overall effect of the chair is one of angularity and sleekness; in this, it presents as something of a manifesto to Scandinavian design. To note the counter-cultural context in which it was conceived is to further appreciate this: in response to the sharp and often jarringly bold utilitarianism of Bauhaus, Wegner was offering a simple, beautifully-crafted and above all comfortable chair. It has even been dubbed the Dolphin Chair, something which contributes an especially playful element to the work in calling to mind the fluidity and graceful movement of a dolphin - consider the arm arches as reminiscent of the soft curve of a dolphin’s body diving into the water. Wegner’s folding lounge chair was first exhibited at the Danish Cabinetmaker’s Guild exhibition in 1950, and one of the long forms is now housed at the Centre Pompidou in Paris.